Hospice care is for patients who have a limited life expectancy and wish to have treatment of pain and symptoms rather than curative care. The goal is to make their last days full of comfort and dignity and to meet the patient and family’s needs along the way. Hospice not only targets the health related needs of the patient, but the emotional, social, and spiritual needs of the patient and family. Taking place wherever the patient calls home, hospice is provided by hospice-certified nurses, home care aides, physicians, art and massage therapists, counselors, social workers and volunteers who work together to support both patient and family. Hospice does not mean giving up hope. Rather, a way to stabilize medical conditions and address patient and family needs. Hospice is not limited to patients with only one type of disease, but is offered to patients whose conditions have led them to have a limited life expectancy. These conditions often include Alzheimer’s/dementia, all cancers, lung disease and cardiovascular disease. Hospice is not the same for every patient. An individualized plan of care is developed for each patient and family to provide ongoing medical care and coordination. Services include 24-hour on-call crisis support, linkage to community resources, and various specialty services including hospice-approved transportation. The goal of the hospice team is to ensure patient and family have the best experience possible. Hospice is not expensive. In fact, many patients who choose hospice care are entitled to the Medicare benefit, covering virtually all costs. Medicaid and various insurance policies cover costs based on particular policies. Hospice does not have a set time limit. Patients who receive hospice care usually have an estimate of 6 months to live, but care does not expire after a certain period of time. 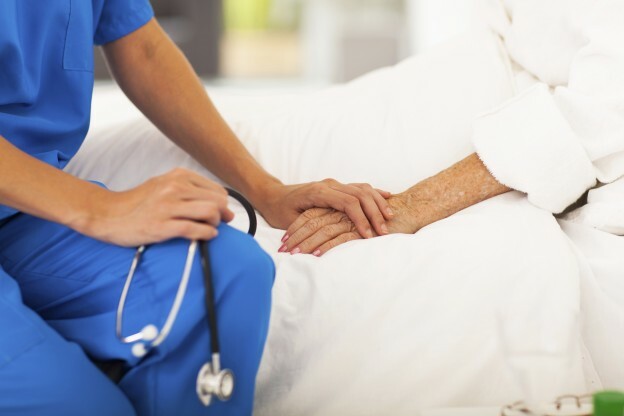 Patients who require additional care may continue and in some cases, may improve and no longer require hospice care. Visiting Nurse Association of Ohio offers the largest scope of home-based health services, including hospice care. The multidisciplinary team of healthcare professionals at VNA of Ohio partner with families, physicians and other caregivers to ensure patients comfort and quality care at the end of life. Supporting and respecting the decisions of each patient and family, our goal is to maximize comfort by addressing physical, psychological, social and spiritual needs.